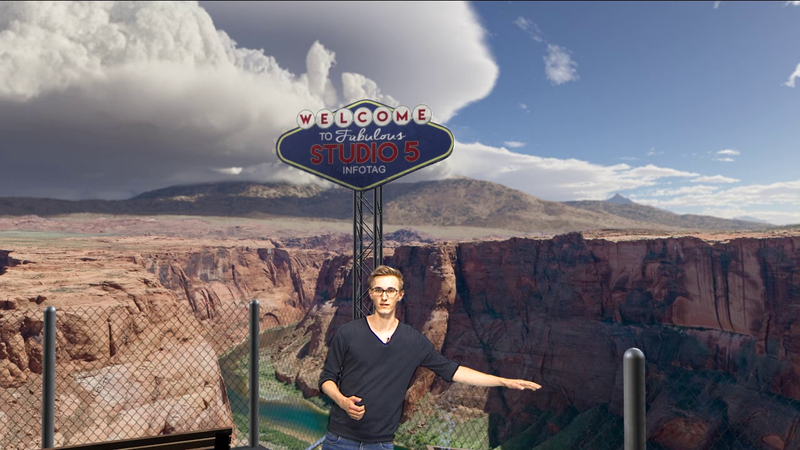 The interactive set was developed for demonstrations at the Studio 5 Day 2015 under the theme “Route 5 - Discover your way.” The Studio5 day is one of the student information days of the Faculty of Media at the Hochschule Düsseldorf, University of Applied Sciences. 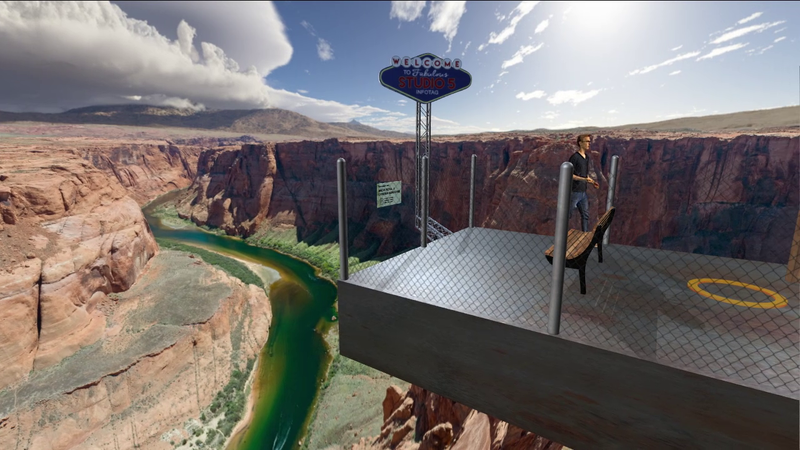 The set shows a platform at the Grand Canyon with a beautiful view, which is accomplished by panoramas. 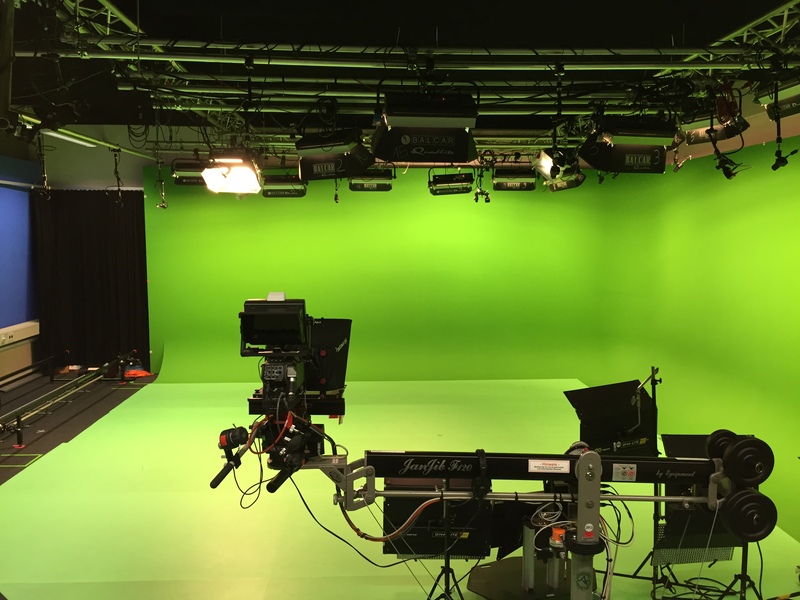 It is impressive to see that the virtual space is not limited to the real existing space (the studio), but may show worlds without frontiers. A consistent surface representation of the platform is realised partly through shaders, which use environment maps for realistic reflections. 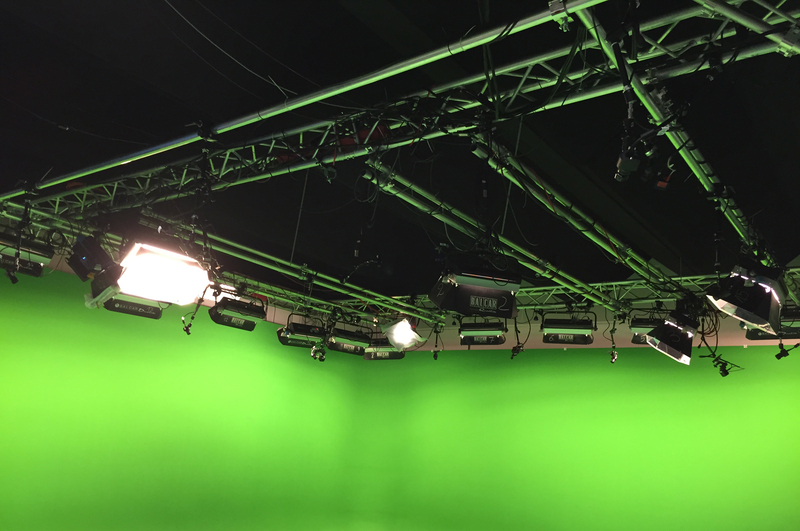 The production was performed live, that is, tracking, rendering and compositing took place in real-time. 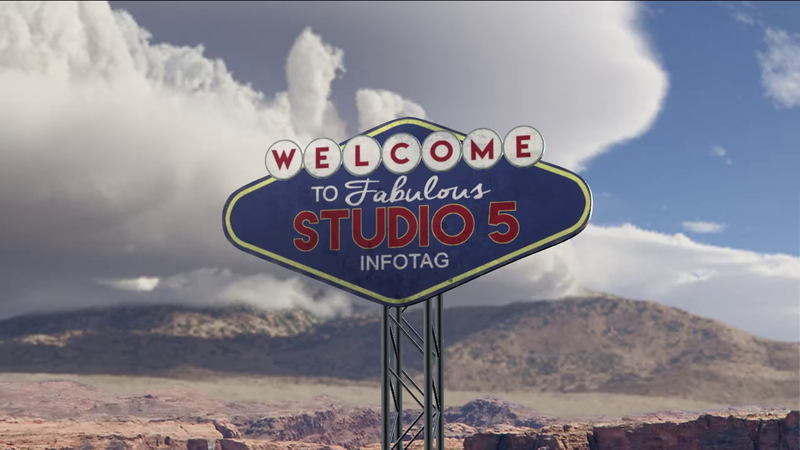 The software for rendering is provided as part of a cooperation with Vizrt Austria. 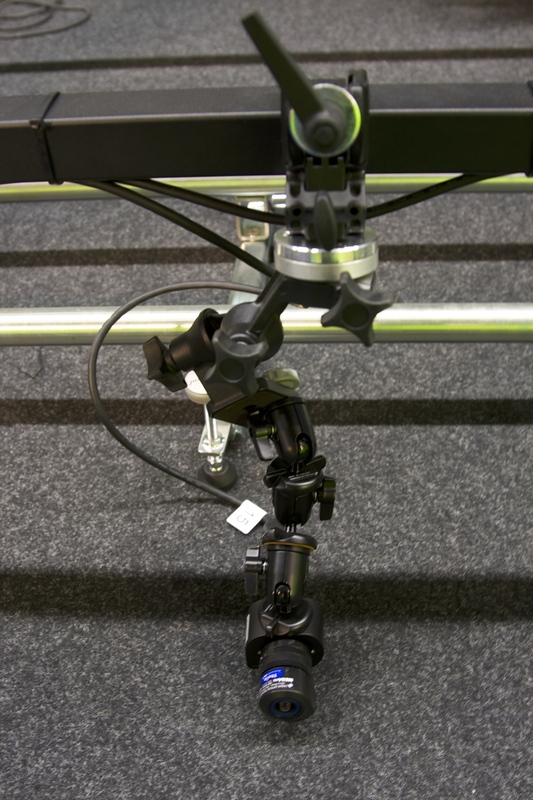 During recording, two manually operated camera systems were used: camera robotics (G-Track) and Jib-arm (JanJib) from Egripment. 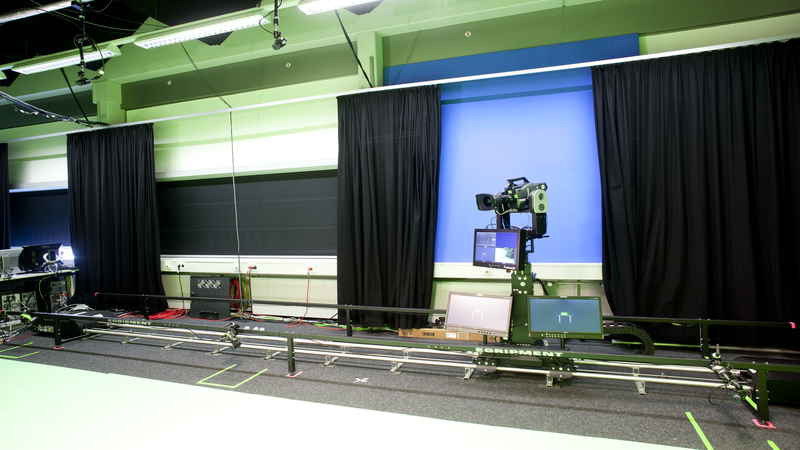 The camera movements create a motion parallax, so that the space unfolds and the audiences experience the depth clearly. 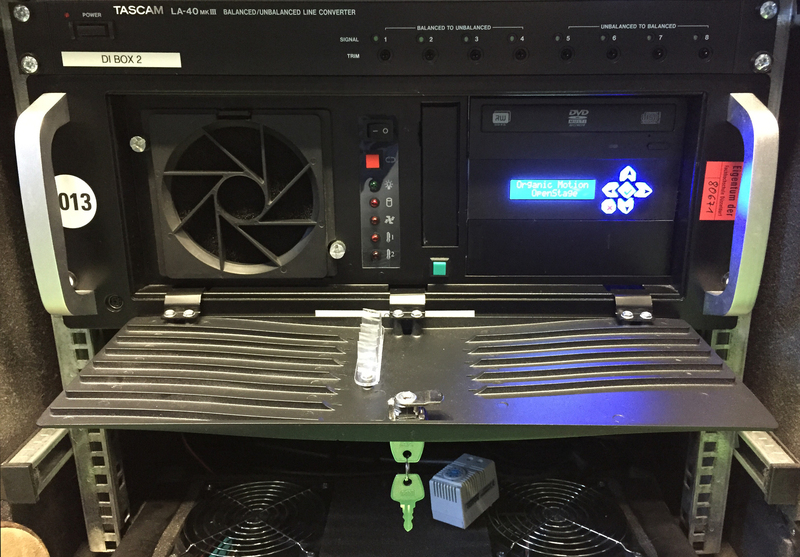 The highlight of the production is the real-time interaction. 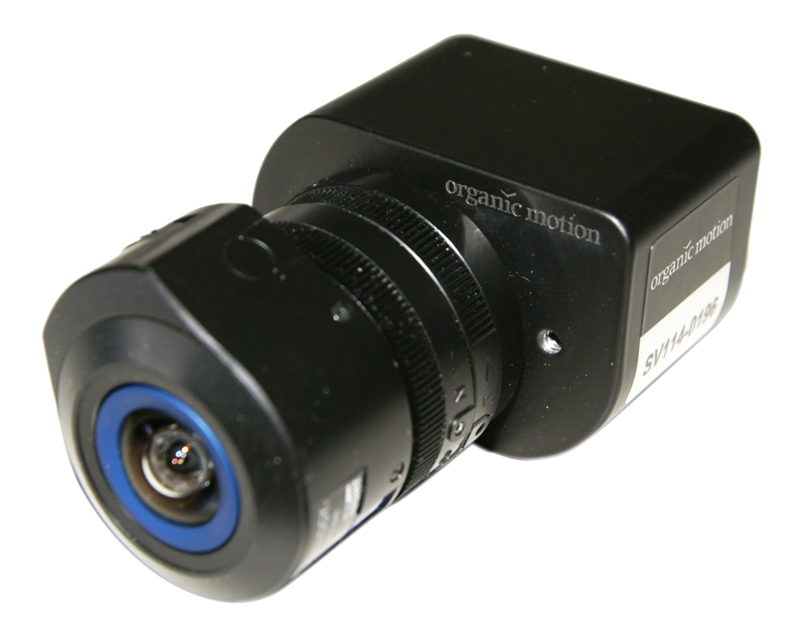 The OpenStage system of Organic Motion is used, which comprises 18 cameras for image-based tracking of the actors. 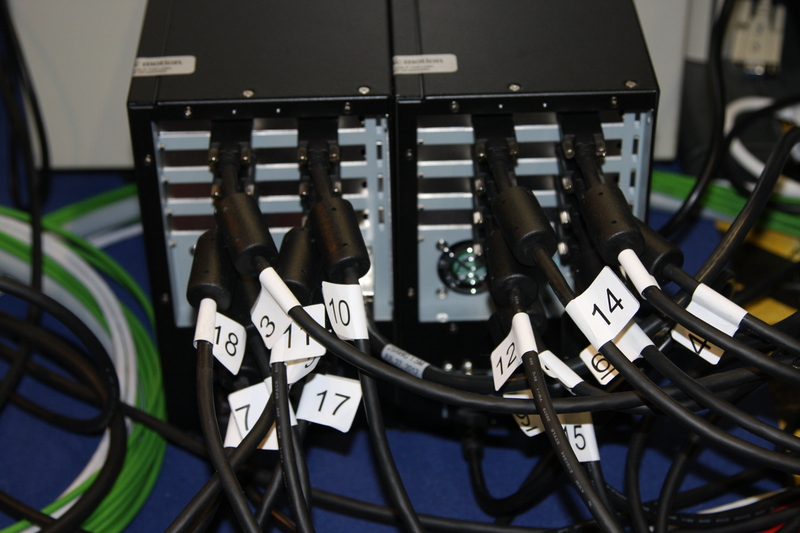 The system provides skeletal data of actors with which the virtual set is controlled. 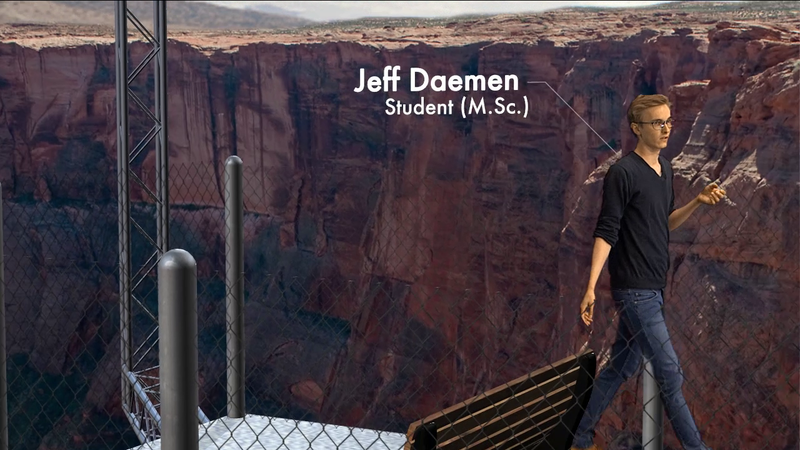 The people positions are used for resolving the deep relation between the virtual and real domain. 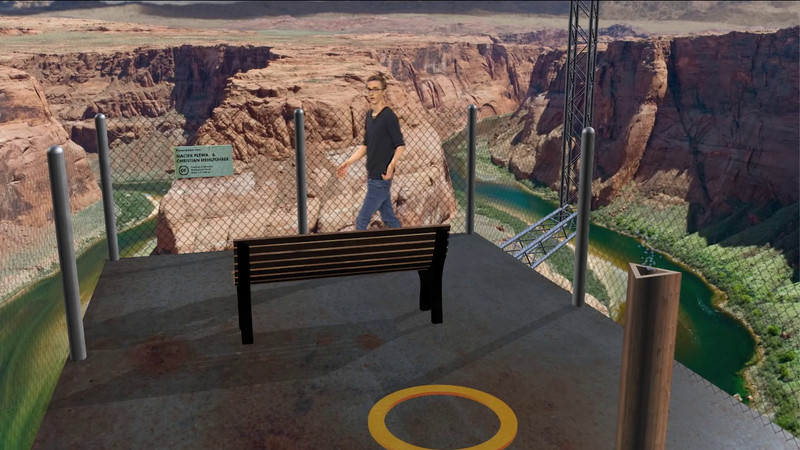 As an example, it is shown how a person walks around a virtual bench. In addition, hands or feet can launch animations (when a hand is moved through the smoke, lamps turn on). 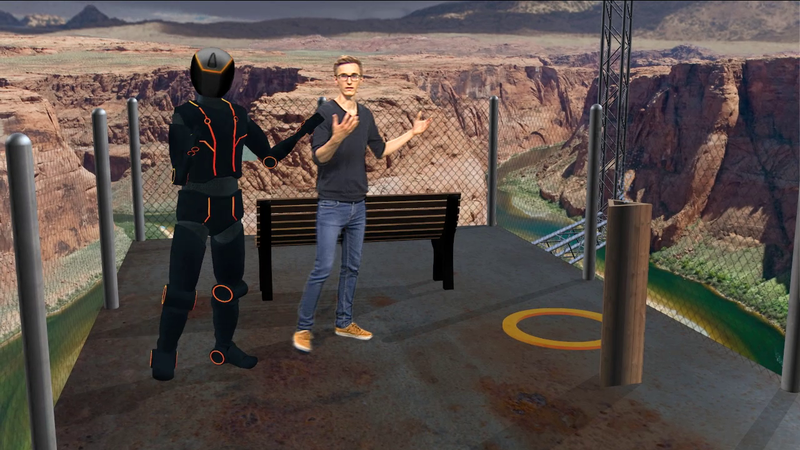 On the body position graphical objects can be attached with correct perspective (e.g. an explanatory legend). 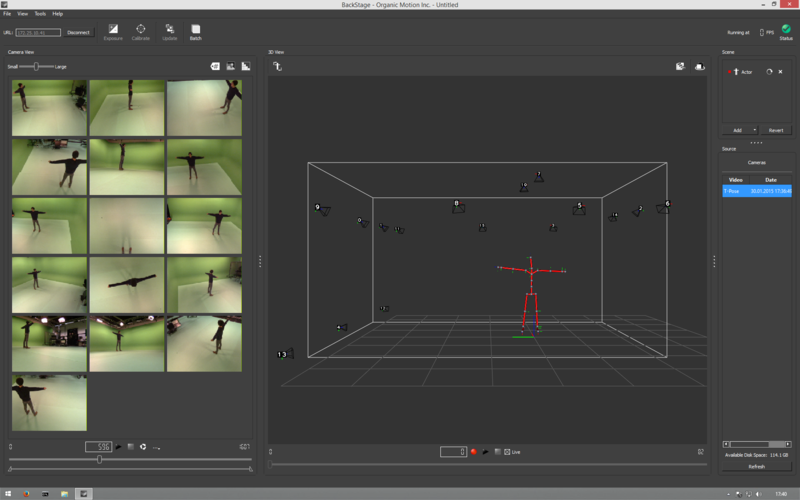 The skeletal data also can be used to control an avatar. Ultimately, a complete interaction with the set becomes possible, which is demonstrated by throwing a virtual disk. 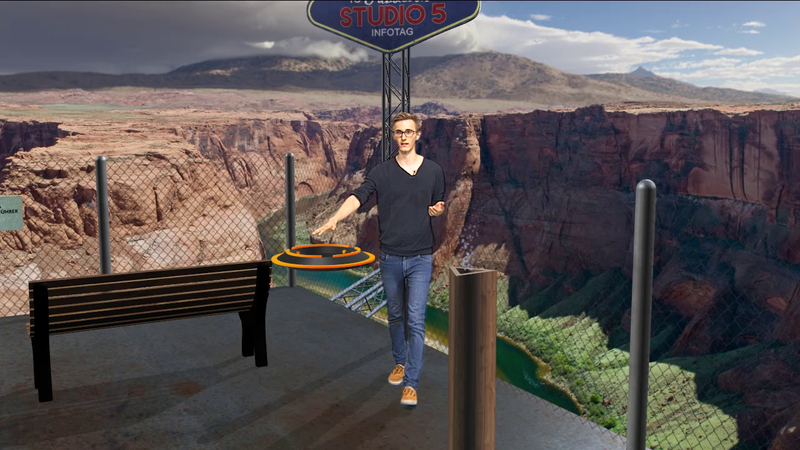 Production at the Virtual Studio of FH Düsseldorf, 2014. 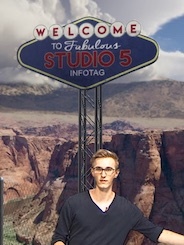 Production at the Virtual Studio of FH Düsseldorf, 2013.